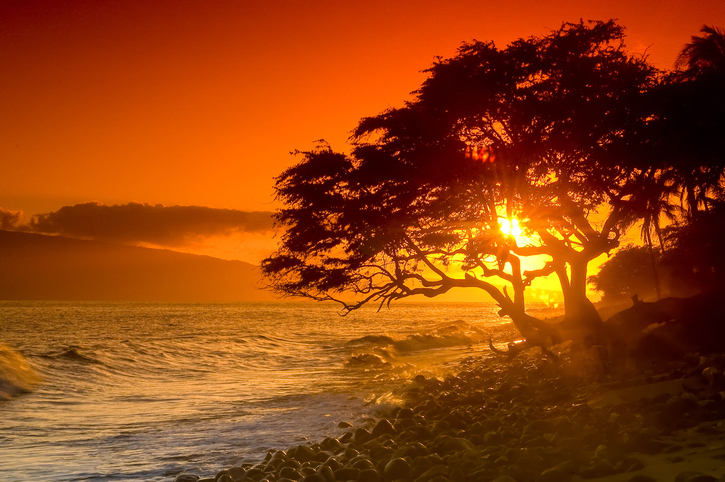 Maui is known as “The Valley Isle,” referring to the great valley that sprawls between the island’s two major volcanoes. The second largest island in Hawaii, Maui possesses legendary beauty that has been well-recorded and widely talked about around the world. Maui’s natural splendor goes beyond stretches of stunning white sand beaches, turquoise waters and walls of surf – though these are certainly among the island’s top attractions. The island is also rife with lush rainforests, majestic mountains, green rolling hills, and breathtaking waterfalls. The Haleakala volcano is one of Hawaii’s top attractions with its mysterious ancient beauty and a surprising alpine climate zone at the top. There’s also plenty of history and culture in Maui. The town of Lahaina – one of the most enduring communities on the island – boasts historic homes and landmarks, and a party vibe that dates back to its whaling village days. Plantation estates are found in communities like Waikapu and Waikulu, some of which remain prestigious residences, while others have been preserved as museums. Art galleries, theaters, vintage trains, and other destinations showcase the island’s unique and dynamic culture. As a premier global tourism destination, Maui also boasts plenty of modern amenities, including some of the world’s best golf courses and the most luxurious resort hotels. A playground and getaway destination for the rich and famous, Maui is rife with luxury homes that serve as either primary or vacation residences. Investors also make up a significant portion of homebuyers here, given the high demand for vacation rental properties on the island. 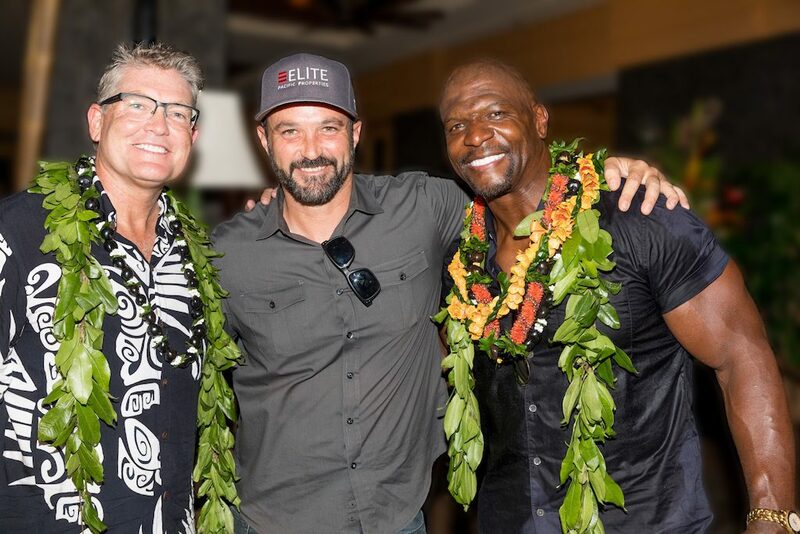 Maui film commissioner Tracey Bennett and Actor Terry Crews with Greg Burns. Beachfront homes are the most desirable and highest-priced properties in Maui. Whether you’re looking for a primary or vacation home or an investment property, you will find plenty of options for waterfront homes ranging from spectacular estates to exclusive condos. The single-family homes in Maui showcase outdoor-indoor living at its finest. Indoor rooms open to gorgeous patios with breathtaking views and all the equipment and furnishings needed for fabulous outdoor living and entertaining. Swimming pools, spas, and tennis courts are some of the amenities found in these homes. Homes in golf communities offer refreshing views of greens and fairways, as well as easy access to a golf course. You will also find options for historic homes in Maui, particularly in neighborhoods like Lahaina, Wailuku, Kihei, and others. Built in early to mid-1900s, these timeless properties showcase the tranquil plantation life of early Maui, with mature gardens and landscaping that bring nature right at residents’ doorsteps. Luxury condos and townhomes are also popular in Maui. There’s a rich mix of old and new developments, equipped with state-of-the-art fixtures and finishes, and a wide array of community amenities like swimming pools, sports courts, beach access, and more. Maui has over 30 miles of beaches, each one offering its own unique flavor. The coastline varies from powder-fine to black or red volcanic sands. There are tons of activities waiting for you at these beaches, including surfing, snorkeling, swimming, and sunbathing. The most popular beaches include the Wailea, Ka’anapali, and Kamaole Park beaches. Less crowded beaches include Makena Beach State Park, Hamoa Beach, and Red Sand Beach. Are you considering buying or selling a home in Hawaii? I will be happy to be your real estate guide. Give me a call at 808-214-0302 or send an email to Greg@IsleLuxury.com.